At nearly every contact center, agents are responsible for booking things to happen at a particular date and time. Callbacks are the best example of this: it’s not a good time for the customer to talk, so the agent finds out when the customer is free and books a callback for then. There are plenty of other examples too, of course. At an energy or telecommunications company, say, agents may book appointments for an engineer to visit the customer’s home. When you’re designing a desktop in Syntelate XA, how do you allow agents to make such bookings? Well, there are a couple of ways. 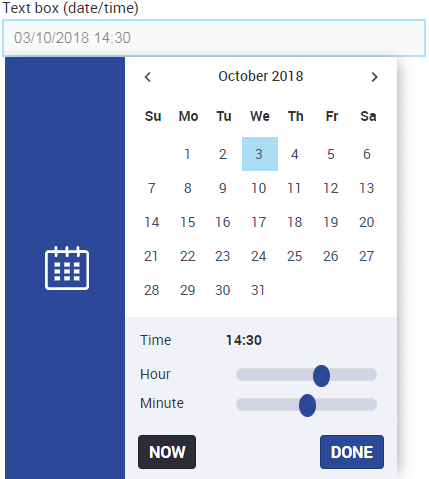 The simplest way is with a text box – we’ll look at that first – but you can also use our special date box with intervals control, which has a number of advantages. We’ll finish off this tips and tricks post by taking a look at that. When you’re designing an agent desktop, text boxes are probably the control that you’ll use most often. In its normal state, a text box is a simple field that allows agents to enter and/or view text. However, by changing the Text box type property, you can change the text box to a date/time box. This lets the agent easily set whatever date and time is required. If the agent is setting a callback, Syntelate XA then returns the customer’s record to them at that time. What if agents across your contact center all book callbacks for the same day and the same time? Who would then be available to handle inbound calls? 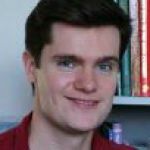 What if an agent unwittingly books a callback for a bank holiday, when your contact center is closed? Let’s say you’re expecting a spike in inbound calls the day after your company launches a new product. You want to limit the number of callbacks that can be booked for that day, but you have no effective way of doing this. This is where our date box with intervals control comes in. Rather than picking a specific time, such as 14.30, this control lets the agent select an interval. An interval can be as long or short as you want. It could be 15 minutes or an hour, for example. You can also limit the number of callbacks (or other types of appointment) that can be booked to each interval. The number in each slot shows the remaining number of callbacks that can be booked to that interval. Monday at 12 noon, for example, has been fully booked and no more callbacks can be booked for then. 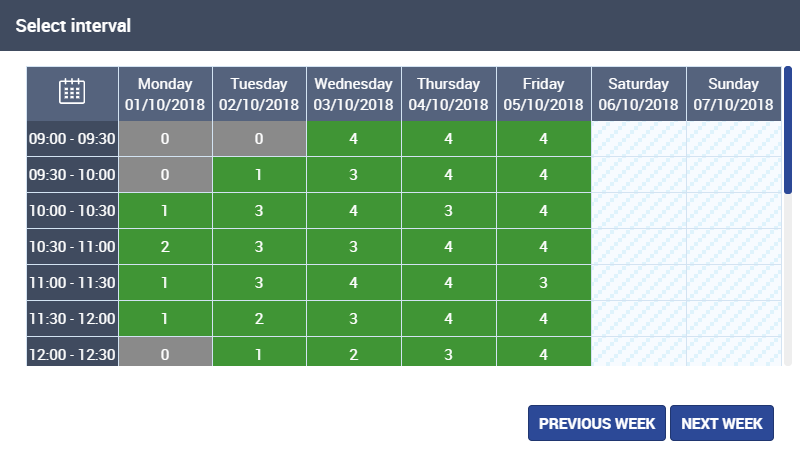 In our Interval Manager, you can set a typical weekly pattern for intervals and then override this as and when required, for example by preventing the booking of callbacks at times when some of your agents will be off the phone and in training. Our Interval Manager gives you full control over how agents make any type of booking. To grant agents access to this, all you need to do is drag a text box with intervals control onto their desktop. So whatever your agents need to book – whether it’s a simple callback, an appointment, or something else – consider using the date box with intervals control. I think you’ll like it!